JAF Graphics. Rusty Style Vintage Street Road Sign. Rusty Style Vintage Street Road Sign. 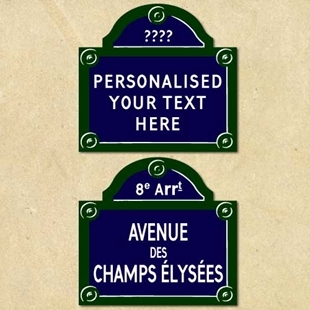 This old style vintage road sign can be personalised with any text you like. 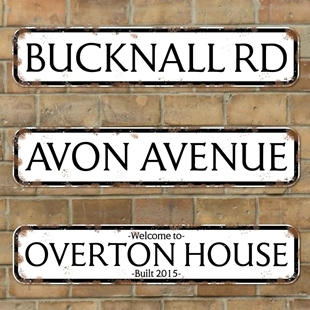 A vintage rusty style shaped street sign with a traditional English feel and an aged weathered look. 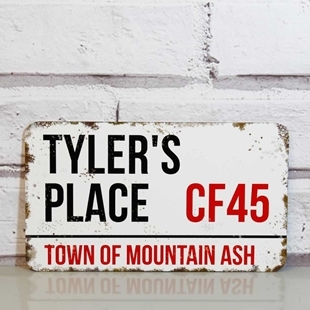 This old fashioned traditional street sign look great indoors or outdoors. 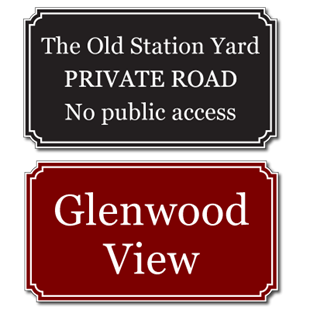 This old fashioned style sign can be personalised with any text. 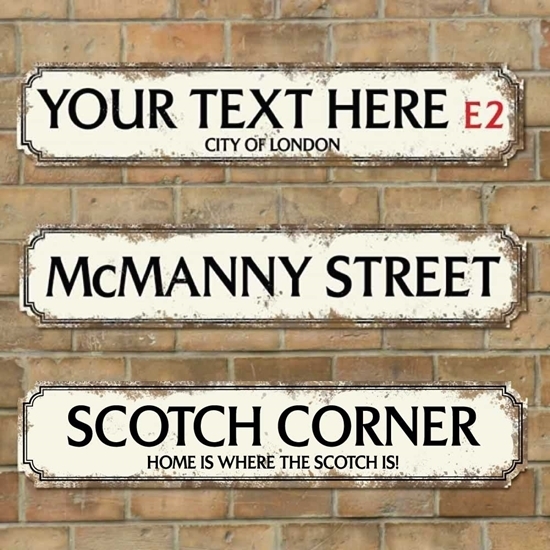 Aged Rusty London Street Sign. 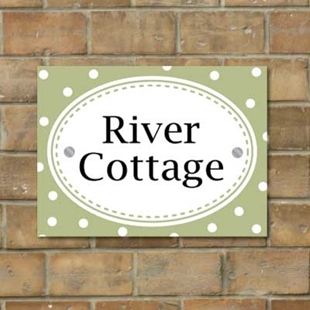 Shabby Chic style house sign with a cute spot design.